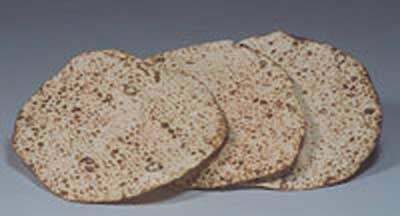 Hand-baked Shmurah Matzah is available for purchase. The price is $16.00 per pound and $7 for 3 Matzot. Shmurah means "watched," and it is an apt description of this matzah, the ingredients of which (the flour and water) are watched from the moment of harvesting and drawing.